The purpose of the cities of “refuge“ (Hebrew: miqlat, meaning “to contract” or “receive”) was to provide a shelter for any who “killeth any person unawares and unwittingly,” which we would referred to as involuntary manslaughter. The Old Testament makes a clear distinction between murder, premeditated murder and unintentional manslaughter (Numbers 35:16-18; Deuteronomy 19:5). When a premeditated murder was committed, the penalty must be paid – death. The family “Revenger of Blood” (“Revenger” in the Hebrew is: gaal or goel hadam) was a literal term and function, the person who held this position was the next of kin, or the head of the family in many instances. The Hebrew word “Revenger” literally means “redeemer”, he who brought back the honor of the family by slaying the murderer (Deut 19:12). He had two main functions; he could redeem a family member in debt, such as Ruth (Ruth 3:12-13); or he was the “Revenger of Blood,” seeking justice when a family member was murdered (Numbers 35:18-19). 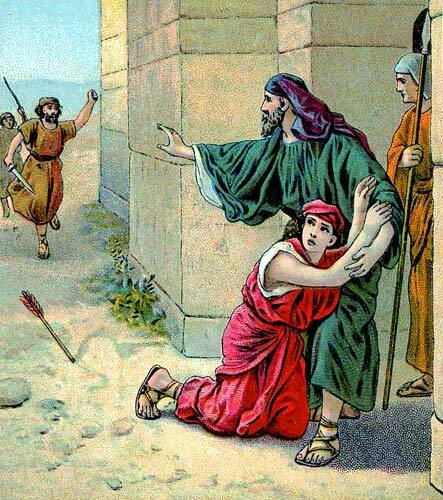 He who took the life of another accidentally, would present himself at the gate of one of the six cities of refuge (The gate to a city was where all legal business was transacted, And where the city Council and Local leaders presided to hear cases and make determinations – Ruth 4:1; 2 Samuel 15:2) and plead his cause to the elders of the city and thus would find shelter in the city. Later, he had to stand trial before the congregation of the town nearest the scene of the slaying. If found innocent, he was returned to the shelter of the city of refuge until the death of the current high priest (presumably enough time for the wrath of the family of the slain to be abated). For the sinner, to be found in the city of refuge was to be found in the only place of salvation, which is a pictorial of what Jesus did for us. The similarity between these cities of refuge, and the LORD Jesus is striking. This is one of the hundreds of prophetic examples wherein Jesus is found on every page of the Bible through object lessons; rather allegory, similes, metaphor, symbols, Figures of Speech (Please see LINK), types or shadows, as indicated in the following Scriptures (The term for all of these examples is “Expositional Constancy” ~ Please see Endnote #1). Jesus is the only escape for the punishment of sin wherein all of us are guilty and deserve death and damnation When seen in the light of God’s perfection which is reflected in his law. His law which was meant to be a schoolmaster to teach us the true depths of our sin wherein we all deserve to be separated from God, to be imprisoned where God had created hell and damnation for the Angels that chose to rebel because of their lack of faith. It is when we come to the end of our self and the understanding of our wickedness, wherein we choose to repent; to change our mind in such a formidable way that it changes are behaviors. Wherein we forsake our own way and follow Jesus, turning 180° from ourselves; to Him who died for us. The reason this baffled me is that the people understood what they were doing, they were crying for an innocent man to be crucified. A man that did miracles, and only that which was good. Yet, what we must understand is that this is a technical scientific statement of fact, a statement which IF untrue would never allow us to be redeemed. You see despite the fact that there were those that understood that Jesus was claiming to be God, in fact most people understood that. Look at every situation where Jesus does or says something wherein afterwards the religious leaders and Pharisees pick up stones to stone Him, these are situations where he claims deity. The punishment for blasphemy by claiming to be God is stoning. Jesus claimed to be Divine (See Endnote # 2). Yet in spite of his assertions and the belief by many that he is the son of God, as a nation; they did not recognize their Messiah. God in His great wisdom presents Old Testament prophecies concerning the Messiah wherein the Messiah comes to earth twice in totally different roles. The Jews received those passages concerning the Messiah on a white horse to kill the enemies of Israel, which we Christians recognize to be the Second Coming of Jesus. Yet the Jew, not knowing how to handling the Suffering Servant passages found largely within the book of Isaiah, with many references in the major and minor prophets, the typology set within the Torah; simply ignore these passages. In fact, many tore Isaiah chapter 53 out of their manuscripts. But then the Dead Sea Scrolls, that were much older than their manuscripts were found to contain this chapter which presented the Messiah as a suffering servant who would be slain by His people, who would be ridiculed and killed. The point is that Jesus’ statements from the cross (“…Forgive them for they know not what they do…“) was making a statement that the people were not guilty of murder, that of knowing killing the Son of God, but that they had committed manslaughter – because they did not understand what they did. Now we know that there is no forgiveness to the Angels. 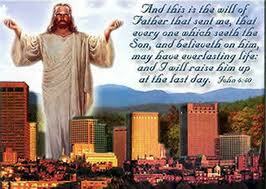 It is because they fully understood what they did by not trusting in God and therefore rebelling against Him. They were in God’s very presence and could see Him, they interacted with God and saw His greatness; they saw God with their own eyes and yet still chose not to believe in Him – they those because of their disbelief to disobey. This is why they are not given forgiveness through grace, they had knowledge – which would be the same as if we (As represented by the Jews) had knowledge – it would have been as if we crucified Christ knowing who He was – it would have been murder, not manslaughter. 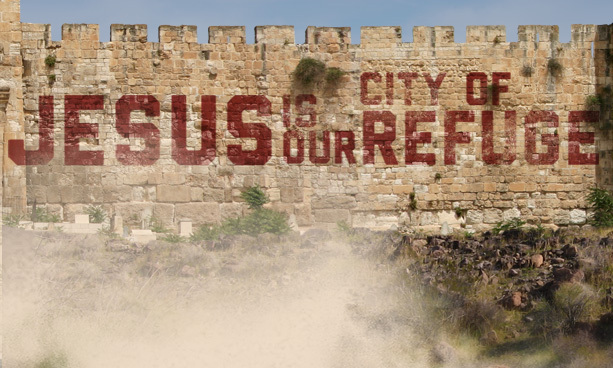 The point is, that Jesus is man’s city of refuge – where man who has the blood of Christ on His hands because of His own sin, can go to Jesus “the City of Refuge” because what they did they did in ignorance. This is but one of the ways that God teaches us about the Messiah – this is one of the object lessons for us to learn. No, they did not believe that Jesus was the Son of God, therefore the Law says, if a man claimed to be God, He committed blasphemy and deserved death. You and I as well, what are we guilty of? Did not Jesus go to that cross for you and for me, because of our sins? Did you and I not drive those nails into His hands as pertaining to our sin (See Endnote #5, “)? I certainly plead guilty to manslaughter, as I think we all must. Then does Jesus words pertaining to us as well, are we as they, guilty of manslaughter, and if so; we can ran to Jesus; our city of refuge, where we are secured from the Avenger of Blood as long as we are abiding in Jesus as our City of Refuge. Jesus, our High Priest in whom we are completely secure, died at the cross for you and for me; therefore, the Avenger of Blood cannot touch us! Hebrews 3:1-6 – Illustrates that God created the role of the earthly priest as an object lesson to later help identify Jesus’ role as the intercessor and Redeemer of mankind. A substance, principle or reality may be more than one typological symbol or idiom used as a model or illustration which God wishes to communicate, yet there is never an inconsistency in using the same typological idiom representing something else, that would therefore create any confusion concerning the symbolic representation. Whenever a writer or speaker addresses his audience and utilizes illustrations or references, he always uses illustrations or references that the audience is aware of, because to do otherwise would be to assume a fallacy in his presentation; presuming that he would not clarify an obscurity to his immediate intended readers, in which he obviously meant for them to understand is illogical. Unless, at some point he alludes to a further explanation concerning a reference or illustration in order to create relevance to the subject at hand. Or if he purposefully introduces a mystery or enigma with the intent of maintaining their obscurity; he makes this obvious, never displaying an assumption that his audience could understand what he has not explained. Therefore, when reading Scripture, it should be understood that any of the Biblical writer’s references, illustrations, or applications; are presented with the assumption that the writer is aware that his audience holds complete understanding concerning his allusion. Therefore, this means that what may appear upon face value to be an unusual illustration or reference to the current reader, must be considered to be common day to the writer’s direct audience when written. 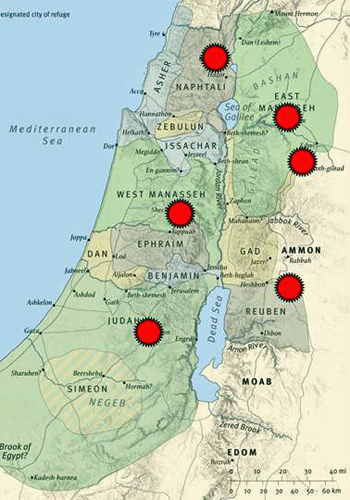 Those overthrown in the wilderness – not in Egypt, but short of Canaan. – Recognize that while it’s undesirable to wander in the wilderness, and desirable to cross over the Jordan into Canaan, it is not about dying, but about living in faith. – Most of us make a 40 year wandering out of a 11 day journey. – Had Israel excepted God’s Word in faith they would have entered into the land as a nation 38 years earlier. – We need to appropriate all that God has for us according to faith in Him. – We can live in the wilderness of doubt, defeat, failure, or enter victory by faith. Thank you to Chuck Missler for most of the above. 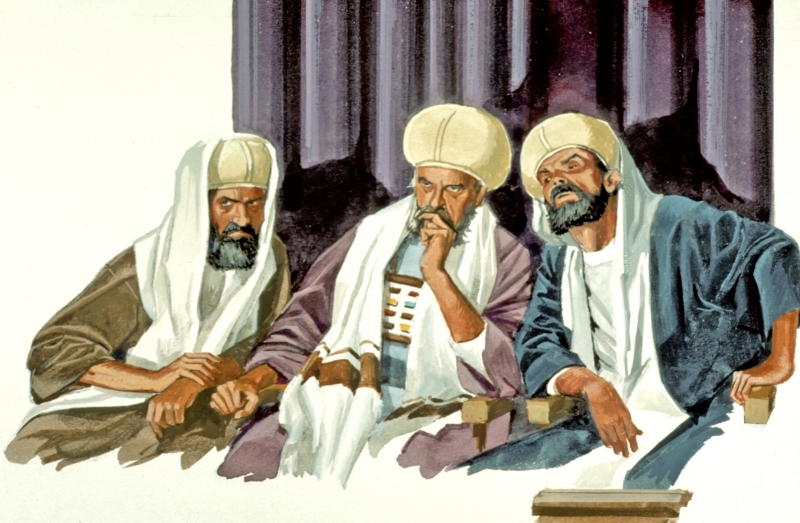 First, Mark 14:60-62, which occurs at Jesus’ trial, when He was asked by the High Priests (Which according to the Torah, a suspect had to answer, therefore Jesus had to answer as a suspect. Jesus went through 6 trials [See Endnote # 3 ], 3 secular and 3 religious, and only twice did He give an answer, once in fulfillment of the Torah when the High Priest demanded an answer, and once when the secular judge Pilate, based upon Roman law demanded an answer), if He was the Messiah (the “Christ”), the Son of God. Trial #6: Jesus taken back before Pilate. (Matt. 27:11-24; Mk. 15:1-14; Lk. 23:13-24; John. 18:39-19:16). 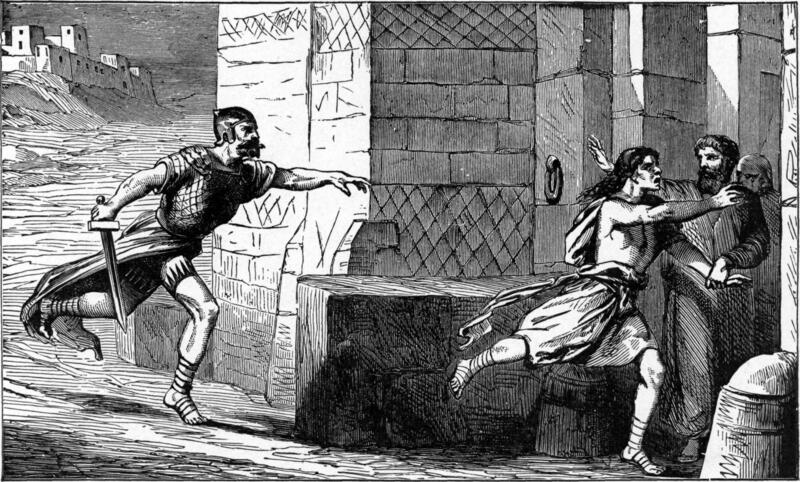 Pilate offered either Barabbas or Jesus; the crowd choose Barabbas to be released, and Jesus condemned to death. 5. Who was Really Guilty of Crucifying Christ. compelled that someone should be held accountable. I mean this was such an injustice. He was innocent of any wrong doing. He was taken in the dark of the night. claiming to be a friend. the beginning of another glorious day. Cursed be that traitor – Judas! It was their golden opportunity, and they seized the moment. an eye for an eye, tooth for a tooth. Roman cross, was it not? just release Him – but did he? No! He had Him beaten and flogged. Roman cat of nine opened His flesh. “Look at the King of the Jews” they taunted. said himself; He was guilty of no crime. and freed the guilty, cursed be the Romans! His Blood began to flow ever more deeply. as He now became as One with the wood. even further from the impact. betrayed by a friend, but do you know who He saw? though He knew I would – I was not yet even born. looked down the corridor of time; He saw my plight. 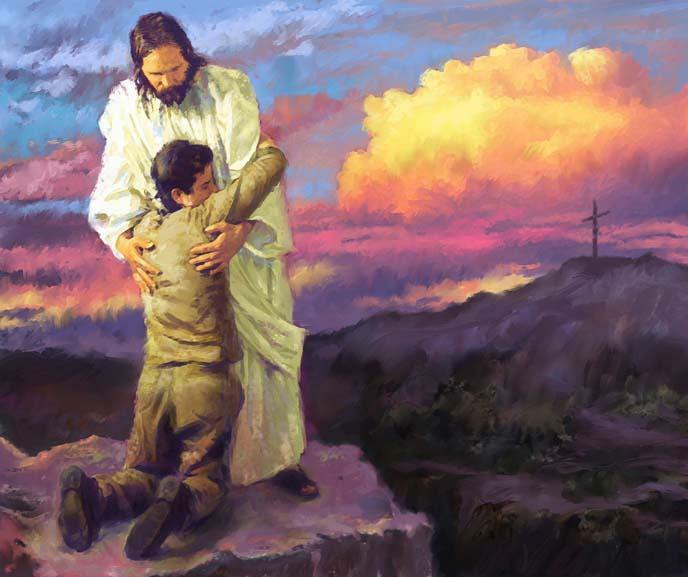 reconciliation, none apart from Him. whispering my name, Rocky it’s for you I died. yet He gives me life. why am I so big on grace? Because I’m the one who’s guilty…. I killed Him by my sin!